The Amazon Birding along the Shiripuno River: Lost Birding Deep in the Yasuni Biosphere Reserve (National Park & The Waorani Reserve) in Ecuador. 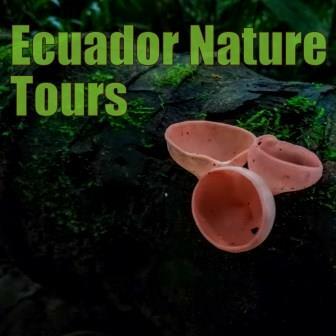 Ecuador is a world birding destination by tradition, from Quito, its capital you to explore a wide array to ecosystem present in the country with such and easy stroke. 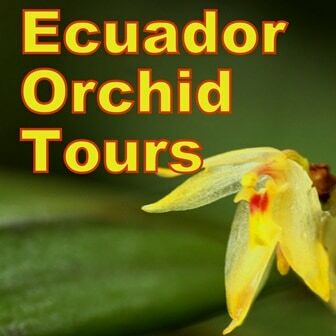 The Amazon Rainforest in Ecuador offers many birding destination with chances of seen many colorful species from canopy towers to easy oxbow cruising dugout canoes and WIFI. Why is the Shiripuno River, the Lost Amazon Rainforest Birding in Ecuador? Wild and Remote, away from everything. 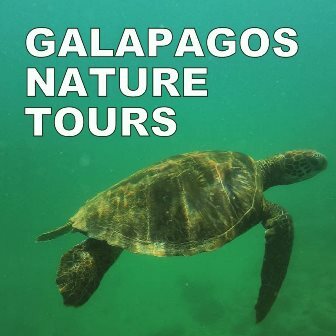 The Shiripuno Rivers is wild sandy river, nestled core of the Yasuni, with many bends with trees covered in epiphytes and lianas and with many tree trunks in the river bottom already, shallow in most parts; The Shiripuno River is surrounded by miles of unbroken Amazon Rainforest. 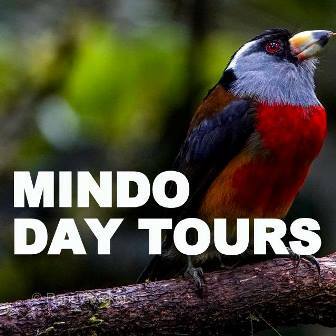 When birding along the Shiripuno River, you will be transported to the early adventures of the greatest naturalist such as Henry Bates, Alfred Wallace, Humboldt or Darwin, watching toucans, macaws, oropendolas, Flycatchers or Tanagers and mammals, frogs, snakes, trees.. many trees. The Logistics of the Shiripuno Rivers is unique, the exploration goes beyond the limit of human interaction, it’s the beginning of the wild and unpredicted. We had entered the domains of the forest tales and forest gods: Jaguars, Harpy, Anaconda, Caiman. When going Amazon Birding in the Shiripuno River start scanning to the Treetops, always searching for the Queen: Harpy Eagle, check the tallest point in the area, dead branches, for falcons; watch on brand new palm spikes for puffbirds, kingbirds, shaded horizontal medium-sized branches for nunbirds, trogons. 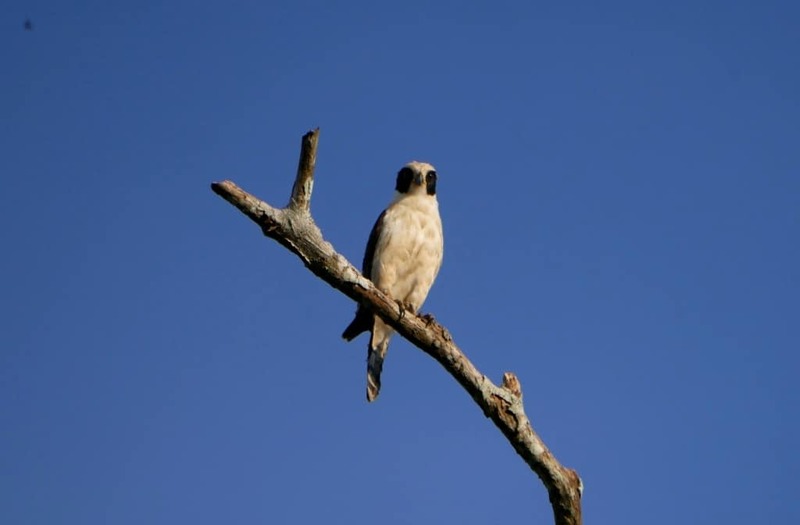 From time to time also check the the big branches for Curassows and Large Raptors Search ahead of time, predict in the next River Bend, check on logs and trunks for swallows, Kingfishers, Sunbitterns, Sungrebe or Herons. The Birding in the Shiripuno River, might catch you off guard.., be ready for birding in move! 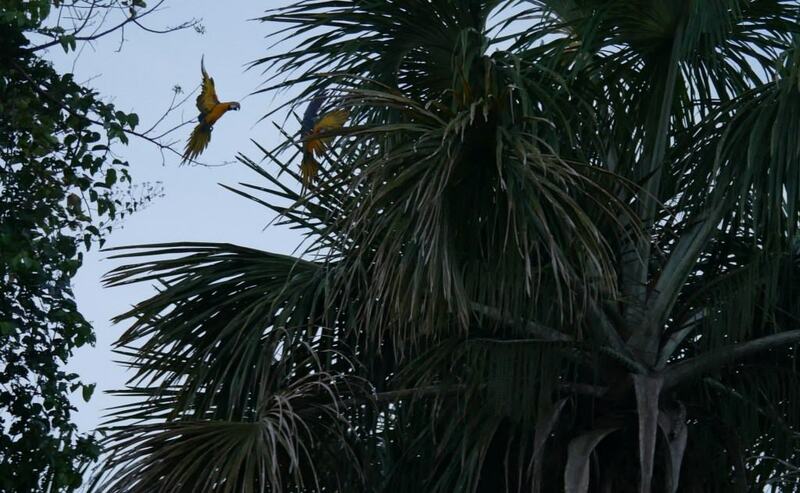 Practice with Oropendolas, Flycatchers and other easy to spot. You will be birding as the boat move, you will lose a few individuals until pick it up. 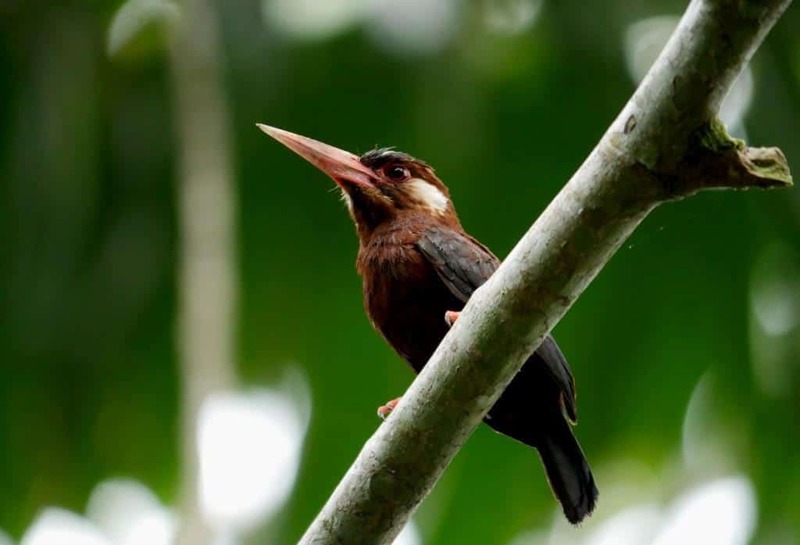 There is time to stop to watch birds while drifting in the afternoons or early mornings to listens to the dawn chorus with Chachalacas, Oropendolas, Antwrens, Antshirkes, Woodcreepers and many others join the party. 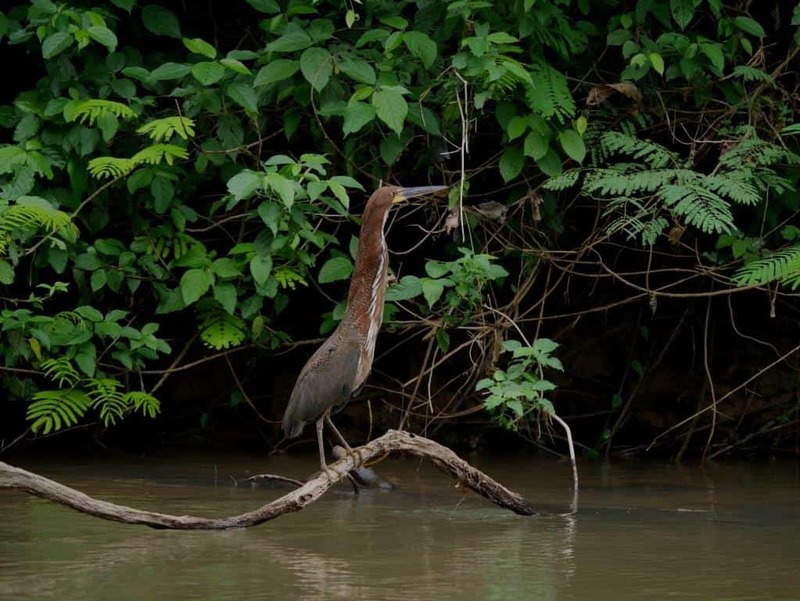 The Shiripuno River is connected to a large community of birds living in the riversides of the main tributaries such as the Napo River and the Amazon River itself. Birds such as Hoatzin, Russet-backed Oropendola, Great Kiskadee, Blue-and-Yellow Macaw and many others rivers specialist are here. There is no River Islands along the Shiripuno River but enough soil conditions and dynamics to support same species community. The river bends are covered by early successional vegetation, constitute a large proportion of the total riverine habitat in Amazonia. After formation, these rivers bends travel downstream, in a sense, by constant erosion of the older, upstream portions, and the constant increase in size by the deposition of sand and silt on the downstream ends. This constant change creates an array of early successional habitats on the river bends. 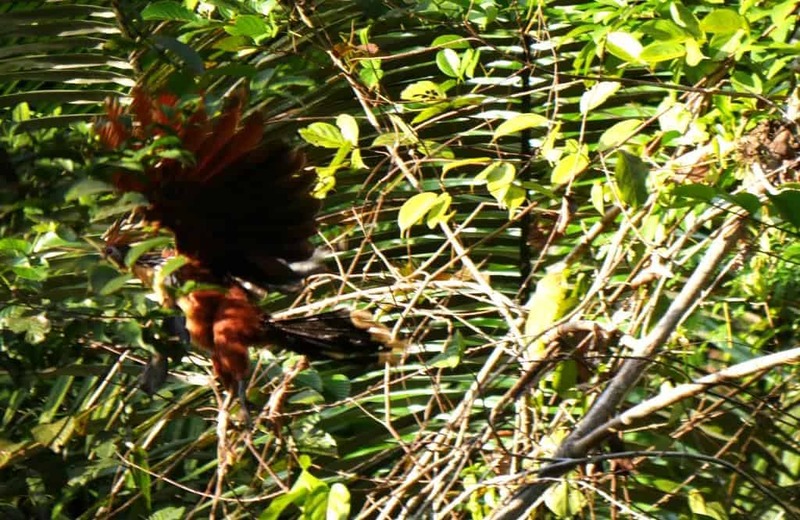 The use of and specialization on such habitats by Amazonian birds has remained poorly known. The Moriche Swamps are made mainly by Moriche Palms (Mauritia flexuosa) a dominant palm tree, Wild Costus Ginger, Cats Claws Vine, Pseguria Vines and more. Many animal species; several bird species, such as the Blue-and-Yellow Macaw, Red-bellied Macaw, Sulphury Flycatcher, and Moriche Oriole, use it for nesting and food. Tapirs, peccaries, fish and monkeys depend on the forest habitat. Along the Shiripuno River creates a meander over the time, due to the river’s eroding the bank through hydraulic action, abrasion and erosion. After a long period of time, in the Shiripuno River the meander becomes very curved, and eventually the neck of the meander becomes narrower and the river cuts through the neck during a flood, cutting off the meander and forming an oxbow lake. The bird community living in here are Hoatzin, Kingfishers, Flycatchers, Donacobius, Herons, Oropendolas and Caciques colonies can be found. As many location through the Amazon Basin and its tributaries, high annual rainfall that occurs mostly within a rainy season results in extensive seasonal flooding of areas from stream and river discharge. The result is a 1–6 m rise in water level, with nutrient rich waters. Specialized avifauna such as the Great Antshrike, Undulated Tinamou, Dusky-throated Antshrike flocks also presents when the plant community allows it. Terra Firme (“solid ground”) is the most widespread topographical feature: Gently undulating hills composed of layers of alluvial soil that were deposited as much as 2.5 million years ago and subsequently uplifted to positions above flood level. In the terra firme, the dead organic matter quickly decays and is recycled. 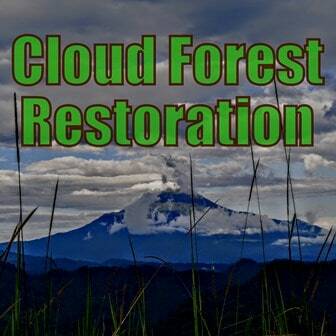 Much of the Ecuador Rainforest is covered by an immense terra firme moving towards the west into montane forest in the Andes. 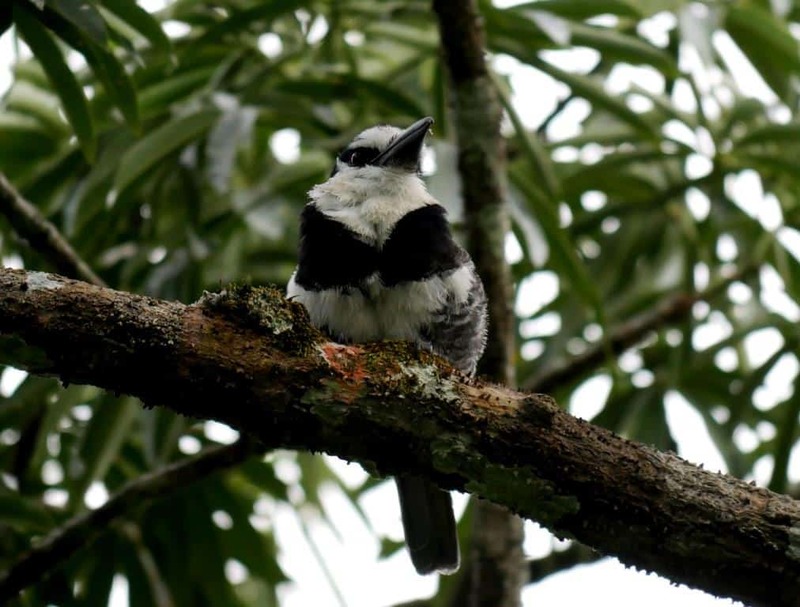 The bird species richness in the Amazon Rainforest reaches its peak in terra firme forest, home of Antbirds, Antwren, Antshrikes, Woodcreepers, Foliage-Fleagers and Forest Falcon and many joining the mixed flocks moving around through the dense foliage. 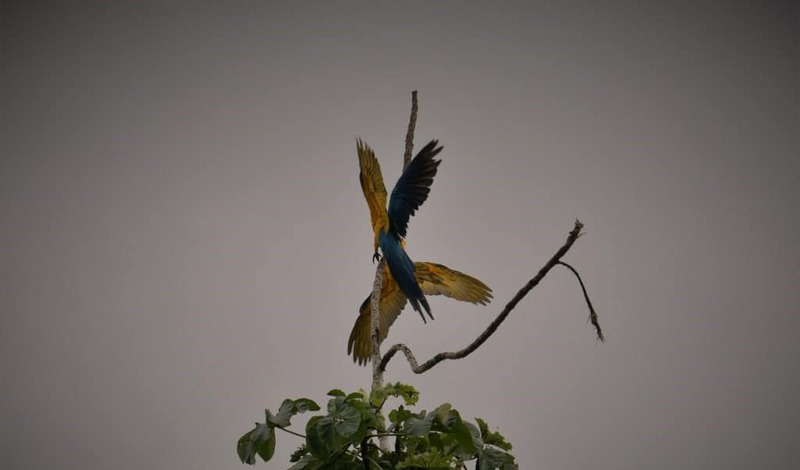 The special species we focused during our Amazon Birding in the Shiripuno River show a little bite a degree of specialization on specific microhabitats, such as palms trees, lianas, treetops, and foraging substrates, such as suspended dead leaves, dead trunks, flowers and fruits. 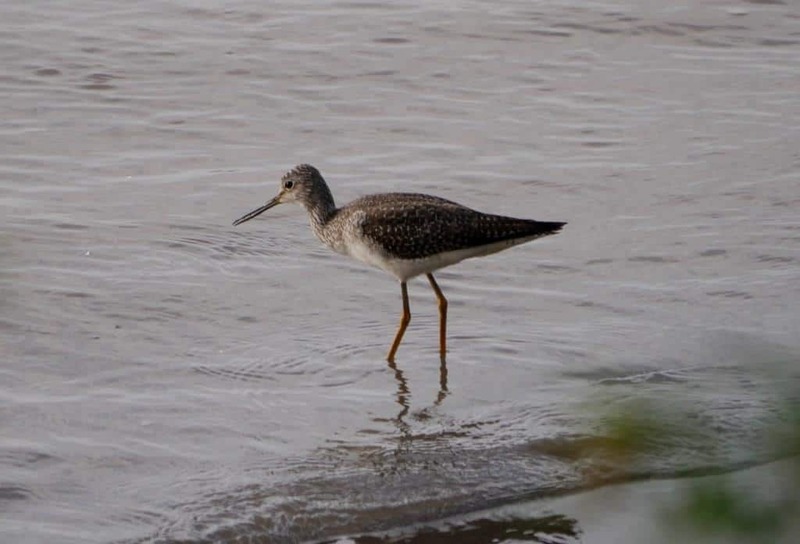 The Greater Yellowlegs is a large North American shorebird. Adults have long yellow legs and a long, thin, dark bill which has a slight upward curve and is longer than the head. The body is grey-brown on top and white underneath; the neck and breast are streaked with dark brown. Wikipedia. 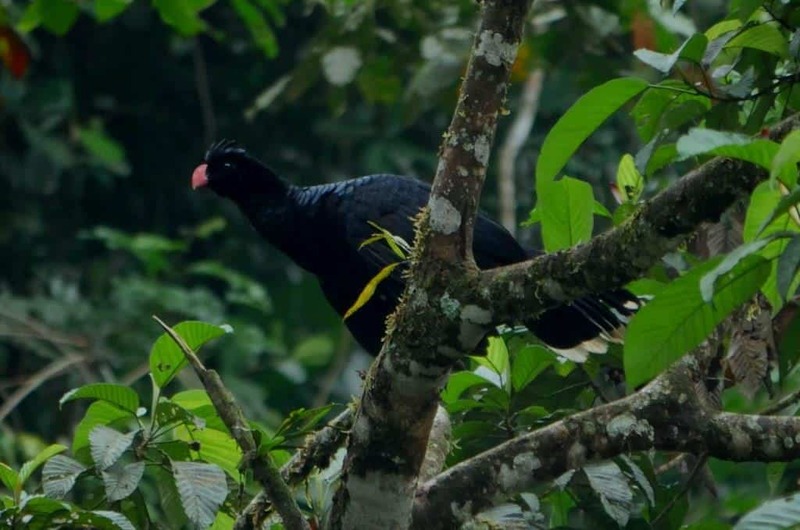 Although, The Shiripuno River avian richness is the contribution by habitats other than primary forest that elevates the richness to such high levels in western Amazonia, some of the specie you can be seen while birding in the remote location in Ecuador.